Hunting Grounds Series: Month One and Future Round-Up Plans! During this Series, you will have the chance to make 2 votes. One on a member of the First Peoples who will be a hero of this conflict, and another on which will die in the conflict. 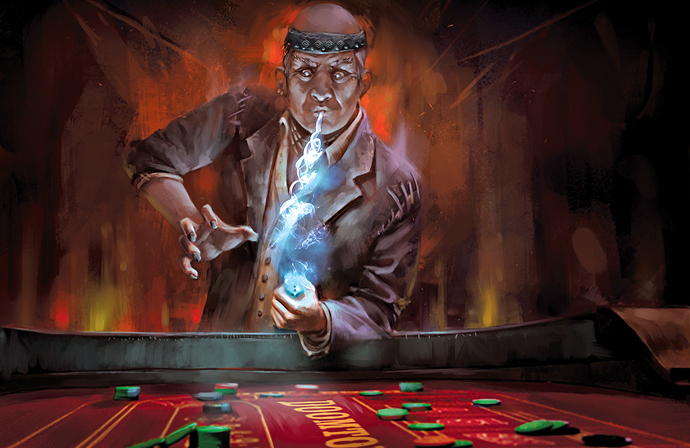 The top 2 votes for each will go in to be reflected in the fiction and upcoming Doomtown cards. Note the votes are not mutually exclusive; heroes may perish in the conflict. For the new players, Pinnacle Entertainment Group worked with Pine Box Entertainment on retail bundles that include still existing kits from the AEG era. As news for when those bundles are available for distribution and retail, we will let everyone know! Next up is our plans for how folks can get items from the previous Series hosted by Pine Box Entertainment and those promo cards from the Epitaph, Servitor, Tombstone, and Abomination Series. In such, we are working on a way in which organizers can apply to host round-ups outside of our usual 2 Storyline Series a year that we will feature on the Round-Up Calendar, but allow you access to create your own kit for your custom round-up! As we finalize the details we'll make sure to get the news out faster than the Gazette pardners! The action starts tomorrow at 10am at Tanukifest! Got at least one thing planned for London in terms of a memorial event, though we may be integrating this with one of the Hunting Grounds events alongside. Either way, may be reaching out to the larger community some time soon on that one, so watch this space!